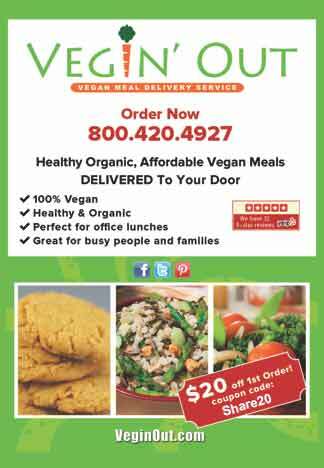 We offer simple, healthy, organic, well-balanced and affordable freshly prepared and cooked weekly vegan meals and vegetarian meals conveniently delivered right to your home or office. Our prepared vegan meal service is great for anyone who is a vegan, vegetarian or interested in a plant based diet. It is also suitable for anyone who are recovering from major surgery or cancer treatment, pregnant mothers, after labor, and traveling professionals. All vegetarian vegan meals are cooked and prepared with the freshest ingredients. We use organic option for our produce and ingredients when it's available. Gluten free, soy free, nut free and other special options for food allergies available upon request. No surcharge fees for special vegan food options. In compliance with the FTC guidelines, please assume any/all links, posts, photos and other material on this website are affiliate links of which Start Eating Well may receive a small referral commission.